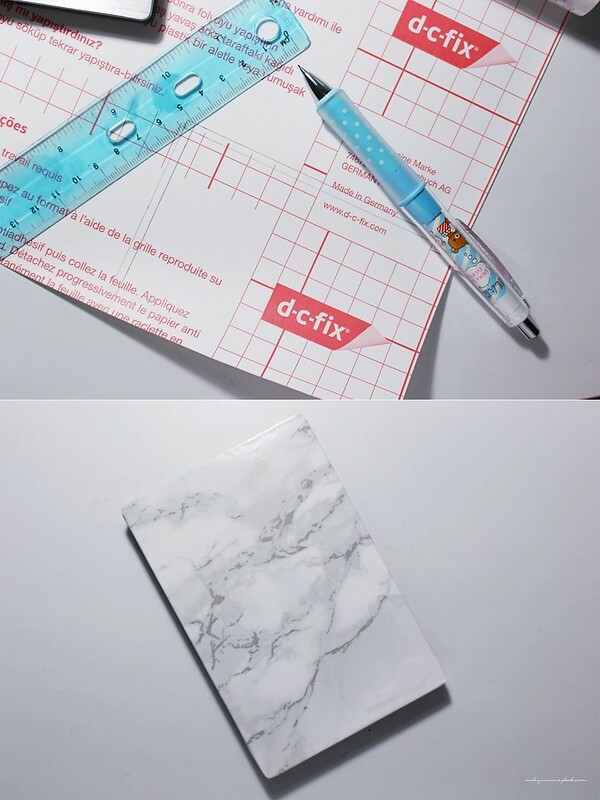 The marble macbook case seems to be very popular lately and have been popping all over social media if you haven’t noticed. I’m one of those people that hopped onto the bandwagon. I just received my macbook case/cover this past week and I’m already thinking of ways to marbleize everything lol. If you’re like me and use a Macbook Pro, you probably don’t have enough memory. 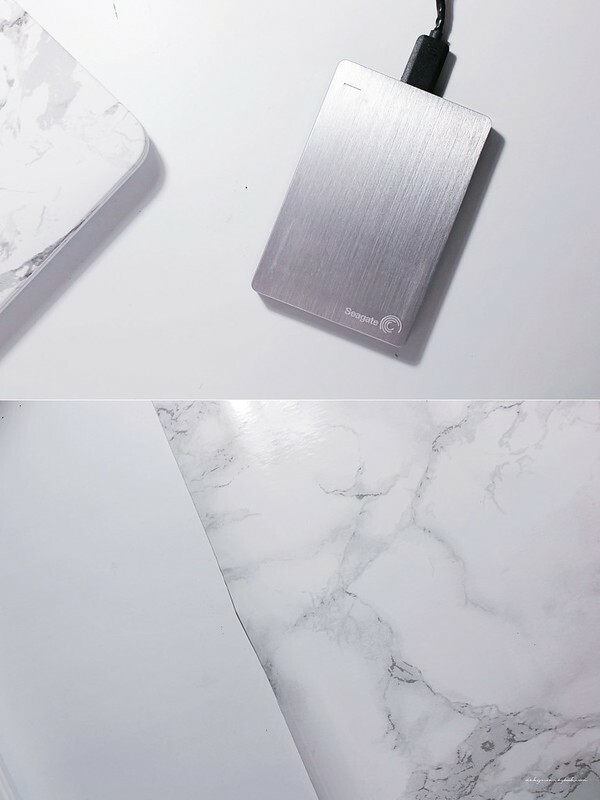 I’ve been relying on external hard drives to get by and they could get a bit boring in the design factor. I have a regular silver colored external hard drive and when I bought the macbook case, I decided to buy a roll of contact paper to go with it. I rolled a sheet of the paper over and traced an outline of the hard drive on it. I left just enough so I could cover the sides slightly. It’s not shown in the photo but the hard drive is black on the side and I didn’t want to cover the sides completely in the marble paper. After I traced it, it was only a matter of cutting it out and sticking it on. 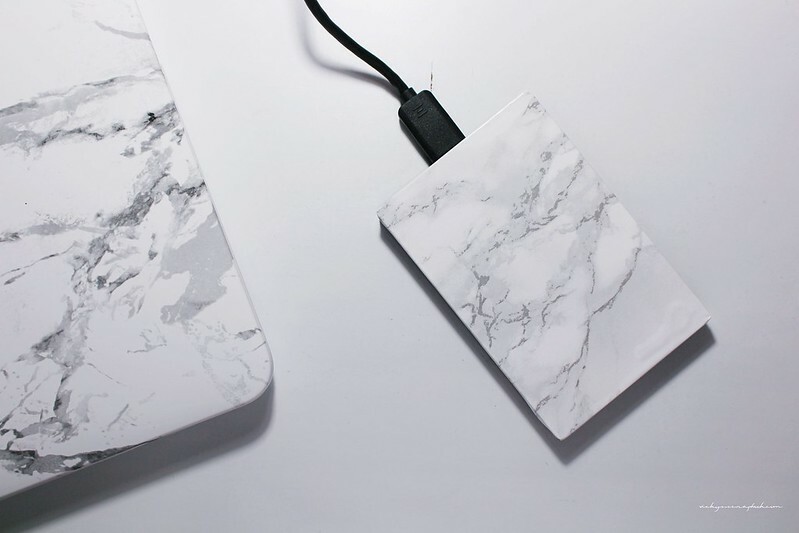 Have you joined the marble case family yet? gorgeous!!!! you do tend to fall in love with the trend!! it looks amazing and pretty simple!! That looks amazing! Very nice! Nice, I really like the marble look – it’s very clean and minimalist! I have this fever as well, haha, marble everything here and there, and wonder if all the blogger out there house is all made of marble!